Lost Bird Gives Directions to get Home! A rather clever male budgie has astonished Japanese police after giving them directions on how to get him home after he became lost over the weekend. The male bird had escaped early Sunday morning from its owner's home in the city of Sagamihara, west of Tokyo, and remained at large before perching on the shoulder of a guest staying in a nearby hotel, which later handed him to police. Police kept a watchful eye on the bird while they searched for the owner. That was until Tuesday night came and to everyone's amaze it blurted out the name of the city, district, block and street number of where it's home was located. 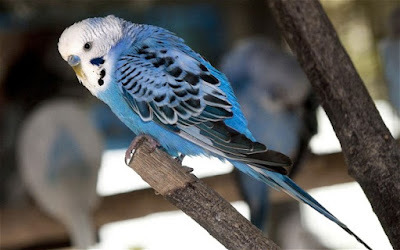 The budgerigar also told stunned police it's name tweeting "you're pretty Piko-chan." The bird's proud owner later revealed that she taught the budgie her home address to avoid her feathered friend flying away and never returning which had sadly happened to a previous bird she owned. Umm.. Thats not a Budgie.. Its an Indian Ringneck.. Happy International Star Wars Day!